The slow trickle of Sonic 4 Episode 2 material continues! 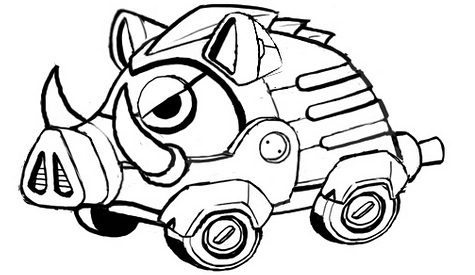 Yesterday, the Sega Blog posted concept art for new badnick Fullboar. Are you ready to kill this cute little guy? I am very happy that Episode 2 is a thing that is happening but I wish Sega would crank up the marketing a notch and give us more to look at. Like screenshots. Episode 2 may end up being a better game than Episode 1 but compared to the Project Needlemouse campaign, Sega does not seem to be that excited this time around. Where is the hype machine?